January 2019 was an average-to-below-average month for dividend-paying firms in the U.S. stock market. Whether we're counting the number of declarations, special dividend announcements, rises, reductions, or omissions, the month registered either close to or below the average levels recorded over the previous 15 years worth of January data that Standard and Poor makes available. 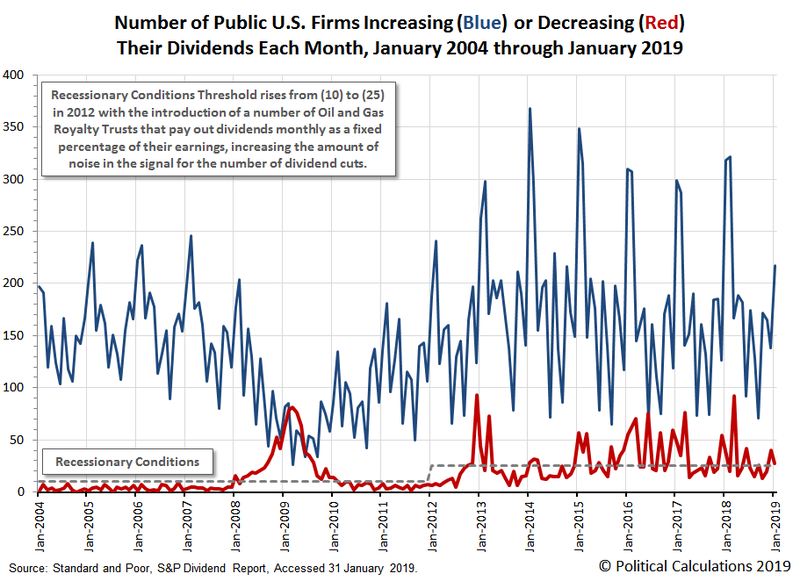 37 U.S. firms announced they would pay an extra, or special, dividend to their shareholders in January 2019, a decrease of 142 from the number recorded in December 2018, and also a decrease of 14 from the total recorded a year earlier in January 2018.